Majestic Window Cleaning Can Keep Your Domestic Windows Looking Beautiful In Seaford, Wantagh and Massapequa. Winter is no problem at Majestic windows. We offer window cleaning services all year round and we believe we are one of the best window cleaning companies Massapequa, Wantagh and Seaford have to offer. It is true that we can get very busy this time of year so it is wise to book in early for the December Holidays. We will always give our regular customers priority but will try to fit anyone else in if at all possible. The use of ladders for window cleaning is now out of date; it is slow and dangerous. So we at Majestic Window Cleaners have invested in the reach and wash system, also called the pole system as it works in summer and winter and runs on pure water; it is safe, uses nothing that can harm the environment and will clean the sills at the same time as the windows. It makes sense to use professionals to clean your windows as with the right equipment no-one has to risk climbing ladders, so why jeopardize your safety? A broken leg can mean a trip to the emergency room and weeks out of work. 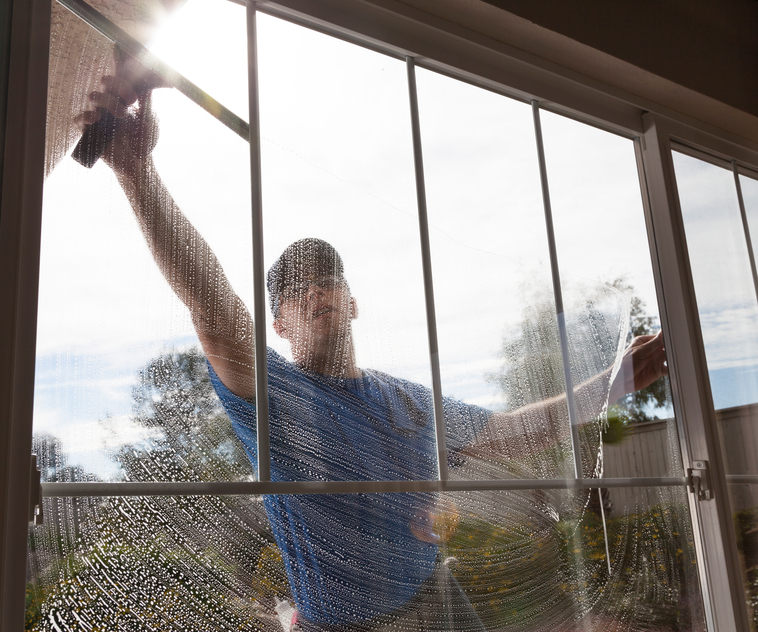 It would cost a lot more than the small fee involved in getting the professionals to clean your windows for you. We at Majestic Window Washing are all fully insured and experienced and you can trust us with your awkward jobs too. If you need your screens cleaned we can do that for you, no problem. We are happy to give you a free, no obligation quotation for any job and will agree a price before we start so there are no nasty surprises. If you need the quote to be itemized we can do that too. We guarantee a friendly and reliable service and will let you know what day we are coming and as close to a time as is reasonable. Winter weather can be unpredictable but if we get an unexpected problem and can’t keep the appointment we will let you know as soon as we can so that you are not waiting in unnecessarily. Our operatives are always respectful of your needs and we are so confident in the quality of our own work that we offer our satisfaction guarantee. If you are not happy with any part of the job we will come back and fix it at no extra cost to you. So whether you live in Levittown, Salisbury, Bethpage Farmingdale, East Meadow, North Bellmore, Amityville, Hempstead, Massapequa, Seaford, Wantagh or anywhere in Suffolk and Nassau counties it is definitely worth giving us a call. We are confident that if you have tried us once you will be happy to have us as your regular window cleaners. Whilst getting your window washing done you may also like to avail of our house washing and pressure washing services too. So talk to Mike on: 631-421-2295 or email to MikeMajestic66@gmail.com he will happily discuss your needs.